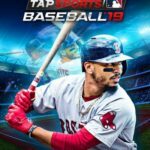 MLB Tap Sports Baseball 2019 is the latest edition of Glu Games’ popular Major League Baseball title for iOS and Android devices, and further proof that this developer is one of those companies that have something for everybody — for example, they’re also the company behind Kim Kardashian: Hollywood, Nicki Minaj: The Empire and Stardom: Hollywood, among other titles. Once again, this latest iteration of Tap Sports Baseball allows you to control your favorite MLB team and build that team from the ground up as you defeat more human and AI-controlled teams, compete in a variety of different game modes, and improve the team you’ve got — starting from a bunch of comparative scrubs, you can then replace them with better players pulled via “draft picks,” upgrade your top stars, and also upgrade other aspects of your team. And for those who are into realistic sports simulations, you’ll be glad to know that this game makes use of real-life MLB teams and players — except, of course, your created “Legend,” should you try out the game’s create-a-player feature. Our MLB Tap Sports Baseball 2019 beginner’s guide was all about the fundamentals of the game, and those basic things you need to know after the tutorial stage is over. But if you’ve been playing this game for about two days or more, you may be looking for something that dives deeper into the other features, as well as certain in-game situations that might not be familiar, especially to those who aren’t too well-versed with certain baseball rules. So with that said, we invite you to check out our MLB Tap Sports Baseball 2019 advanced guide for tips, tricks and strategies on how to build the perfect team and dominate the league! 1. Why Should You Join A Club? MLB Tap Sports Baseball 2019 takes a page from the RPG genre like a lot of other sports games do. We are, of course, referring to the feature that allows you to create or join a club, which is like this title’s equivalent of guilds in RPGs. Clubs can be composed of anywhere between one and 20 human managers, and if you’re creating one, you can choose the minimum star rating and overall team strength for interested managers who want to join. You can also choose if you want the league to be private (i.e. one where only your friends can take part in), or if you want it to be public. As the game will remind you from time to time, joining a club will get you one #1 Draft Pick, 100 gold, and 30,000 cash — that’s quite a solid bonus, we’d say, and definitely a good reason for anyone to join a club. But it should also go without saying that you shouldn’t just join any club that has a few (or more) vacant spots open. You’ll want to be part of an active club if you want to reap the full benefits of being a club member, which include, but are not limited to, more currency and resources to make your team better, as well as higher-rated and rarer players you might not see at the store, or earn via the draft picks you accumulate while playing the game. Also check the club’s average team strength before joining and make sure that it’s fairly close to yours, or lower — you don’t want to be in a situation where you’re the runt, or among the runts of a club, with a team strength that’s considerably lower than the club average! Also, it is imperative that you stay active and do your part to help out once you’ve joined a club. Some clubs may say in the description that they don’t kick anyone out for not contributing, but it’s still better safe than sorry, and furthermore, it’s also good gaming etiquette that you help out the other members of your club in the very same way most of them are ready to help you out in a pinch! Leveling up your players is one thing, but those are the active upgrades, as opposed to the passive ones. The passive upgrades we’re talking about can be found in the Upgrades section under the Team menu, and these allow you to permanently buff up your team and give you more of an edge over your opponents. There are various buffs which you can upgrade under this section, such as Hitting Coach (more hits), Base Coach (more runners safe), Pitching Coach (more outs), and Pitch Calling (more strikeouts). You can also use this to upgrade your defense through Infield Hands, Outfield Hands, and Outfield Arms, and work on intangibles through Clutch Performance (better performance in later innings during close games), In the Zone (more hitting hot streaks), Aces Mentality (better starting pitching), Lockdown Attitude (better bullpen performance), Momentum (better play after a win), and Resilience (better play after a loss). 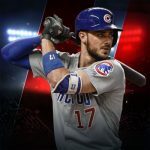 Those are most of the buffs which you can upgrade in MLB Tap Sports Baseball 2019, and our advice is to prioritize hitting and pitching buffs, followed by infield and outfield defense (you don’t want costly errors affecting you during your opponent’s half of the inning, as that, as you should know, is out of your control! ), then intangibles. But don’t over-prioritize hitting and pitching, as the latter two areas cannot be neglected! Also, make sure you’re using cash on your team upgrades unless you’ve got a ridiculous amount of gold to spend — that gold is best invested on other things, and cash flow usually shouldn’t be a problem anyway. In previous versions of MLB Tap Sports Baseball, you had the option to create a Legend — that’s basically this game’s designated Create-a-Player mode — but you weren’t allowed to field him in regular games against human or AI opponents. That’s changed in the 2019 edition of the game, as the player you create can now be a part of your starting lineup in regular game mode or season mode alike! When creating your Legend and choosing the type of player you would like to create, there’s no real best answer with regard to the type of player you should be creating. Fancy a tremendous power hitter to knock home runs out of the park, a speedster who could steal a ton of bases, or someone who can simply hit for a good average and get on base? Do you want someone who could get on base AND hit for power? That’s all possible, as you can choose your player’s position, their primary strength as a player (you can also choose Balanced and make them more of an all-rounder), and whether they excel against left-handed or right-handed pitchers. We generally suggest that the Legend you create can shore up a weakness on your team — for example, if your second baseman has a 50 rating while the rest of your team is at 70 or greater, your Legend should be a 2B. You could also prioritize certain specializations, say, create a home run-hitting slugger, regardless of position, if your team is lacking in power hitters. The game does allow you to reset your Legend, and that would clear all his stats and attributes and redo everything from scratch. And that’s another reason why you should think twice before confirming your Legend — this process will cost you a whopping 500 gold! Moving on to in-game tips, let’s focus on one of the more basic “unwritten rules” of real-life baseball. But for those who may not be too familiar with the rules and the terms, “count” would refer to the number of balls and strikes thrown by the pitcher. A 3-0 count means that the pitcher has thrown three straight balls and is just one ball away from walking the batter, while a 3-2 count, or a “full count,” means that the next pitch could end up as a walk or a strikeout, as four balls leads to a walk while, of course, three strikes means you’re out. For the former situation, it’s best that you don’t swing, because doing so could affect your momentum negatively if it turns out to be a strike. Worst that could happen is that the pitcher’s next pitch is within the strike zone, while the best-case scenario if you don’t swing is that the batter you’re controlling is walked, thus giving him a free pass to first base. Now for the latter, you should pay closer attention than usual when the count is at 3-2, because what you do (or don’t do) could end up as a walk or a strikeout, and that could be especially crushing if you’ve got multiple players on base, or worse, if the bases are loaded (meaning there’s someone on first, second, and third base — a great scoring opportunity if you get any kind of hit). Yes, the pressure will be ramped up when the count is full, but such is also the case in real-life baseball games. 5. When Should You Attempt To Steal A Base? This is where a batter’s SPD attribute comes in handy the most, as stealing bases could be a good way to score more runs and advance certain players from one base to the next, thus bringing them closer to home. A base would be considered stolen if a base runner advances to the next base while the ball is still being pitched to home plate; otherwise, it’s considered “caught stealing” on the stat sheet and the runner is out. In most cases, you can rely on a player’s SPD attribute to determine whether you should steal second base or not; a SPD rating of 65-70 or better ensures that there’s a good chance they wouldn’t get caught stealing second. You can then increase this threshold to 75-85 when it comes to stealing third, though if you have someone whose SPD is at 70-75, your chances of success at stealing third should still be pretty solid. As for stealing home, which requires the most speed because of how close third base is to home plate, you’ll need a player whose SPD is around 80 to 85 or above for at least a decent chance of pulling off this difficult feat. Now some of you may be wondering about the bunt option that would occasionally appear — should you bunt the ball or “hit away,” as the game asks you to do, in certain situations? In most cases, we would say you shouldn’t — a bunt may be more difficult to field, but based on our experience in MLB Tap Sports Baseball 2019, it doesn’t have much practical use in the grand scheme of things. It could, however, be useful if you’ve got a weak hitter currently batting, someone on first and/or second base, and nobody out. The latter is very important, because sacrifice bunts are, by far, the most common type of bunt in baseball, and could make for a good strategic move. A good sacrifice bunt results in the batter getting thrown out, while allowing a runner to move from first to second and/or second to third — it’s also possible for a runner to advance from third to home thanks to a sacrifice bunt, but this requires excellent timing on your end in order to execute. Want to earn more gold, draft picks, players, and other goodies that could give you a higher-rated team in terms of both Team Strength and stars? Go to the Compete menu and you’ll see a variety of events which you can take part in. As of this guide’s writing, MLB Tap Sports Baseball 2019 has a weekend event, where you can play games against opposing managers’ teams, with the number of points per win increasing as your streak adds up — for example, you earn 100 Prime Points for a win, then 130 for your second straight win, 160 for your third straight, and so on. Finishing at first place at the end of the event will win you 750 gold, four #1 Draft Picks, and two Club Event Reward boxes that could contain XP, EVO (more on this in a later guide), and/or draft picks! You can also pay some cash to enter a tournament, though you may have to bear with the comparatively low-quality or mediocre players you will end up winning after you ace your first few tournaments. But that’s why this game has a trade-in feature — at the very least, that means additional XP for trading in the lower-rated player you might win in a tourney! We decided to discuss the Walk Off Hero event separately and give it its very own tip, because this is a different mode of Tap Sports Baseball 2019 that features a different type of gameplay. Walk Off Hero is similar, but not identical to the Home Run Derby that takes place every MLB All-Star Weekend, as it requires you to hit as many home runs as possible in 10 attempts at-bat. Simply choose players from your roster, who would then be paired up against other players, and if you aren’t able to defeat the player you were paired up against, you can spend some cash or gold to retry — otherwise, you’re eliminated. Basically, you want to start out with the weakest-rated player you have available, before progressively moving up to your top sluggers as your opponents get tougher. You can use the same player more than once in multiple matchups, but doing so will typically cost you some gold. Finally, in terms of scoring, the goal is to hit home runs as far as possible, with consecutive home runs, as well as the last few pitches, adding some bonus points to your total score. Only home runs count in here — everything else is considered an out! We’d like to set your expectations right off the bat — Walk Off Hero is not an easy event. You may breeze by the first level and win a couple thousands worth of cash, and the second level could earn you some cash, XP, and a couple of second-round draft picks without breaking much of a sweat. But you may want to try this event only when you’ve got a well-stacked roster, as the third to fifth levels could be quite challenging unless you’re willing to spend some gold on retries. Still, winning the fifth level will reward you with the ultimate prize — a highly-rated (80 and above, five-star) player, and, in some cases, an MLB legend from years gone by! As a bonus tip, you have the option to auto-play matchups in Walk Off Hero. This could be worth a try if your batter has a huge advantage over his opponent, or if you need to regroup to recover your form. However, in most cases, it’s probably best if you do the batting yourself, especially if you’ve already mastered the art of timing your swing and only swinging at strikes. 9. Should You Add A Franchise Player To Your Roster? Once you start playing Tap Sports Baseball 2019 for the first time, the game will try to ease you in by allowing you to add a Franchise Player, free of charge, to your roster. Now these are players who, for those in the beginner/intermediate level, are typically rated at 90 and above, with their attributes all maxed out, and consequently much better than the rest of your team, which means they could put up some ridiculously gaudy numbers for your team and help you win some tough games. You can add a Franchise Player to your team by paying Franchise Coins — a special currency which you can potentially earn as a reward by winning regular games or certain playoff games. But should you really add another Franchise Player going forward? We asked that last question because the main thing to remember about Franchise Players is that they’re essentially superstars for rent. Once they’ve played a certain number of games for your team, their “contract” will effectively expire, which means you’ll need to pay more Franchise Coins if you want to keep them around for another five games. We would only recommend having a Franchise Player in your team if a) you have more than one Franchise Coin remaining after you’ve paid one or two to add that player b) such a player shores up a weakness, and c) you don’t have a roster of maxed-out players to begin with. Also take note that the game will only allow you to have one Franchise Player at a time! And this ends our MLB Tap Sports Baseball 2019 advanced guide. We hope you’ve enjoyed our tips and in case you know additional tricks for the game, feel free to share them with us in the comment section below!